Angla-Saxon leather belt of the Viking Era. 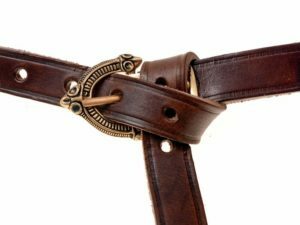 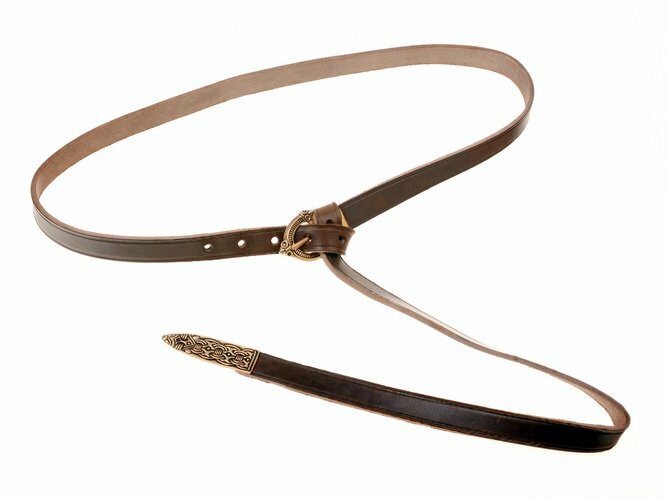 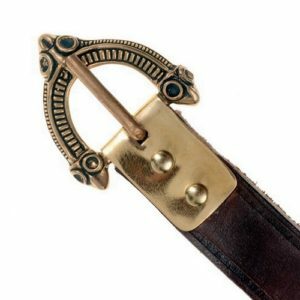 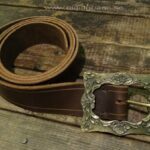 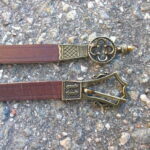 A durable leather belt in 2 cm width from strong grain hide in black or brown color with faithful bronze buckle replica. 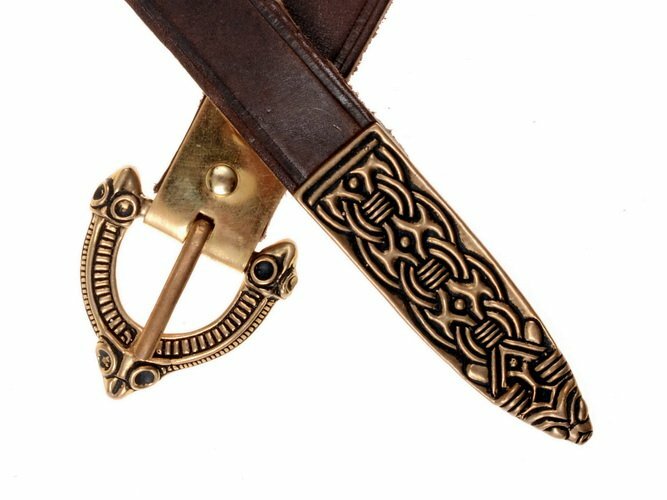 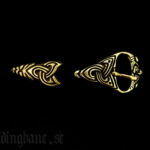 The Anglo-Saxon buckle is made from high quality bronze casting and set to the belt with a riveted plate as it was usual during the Viking Time.